Heat Treating Services | Rode Welding Inc. 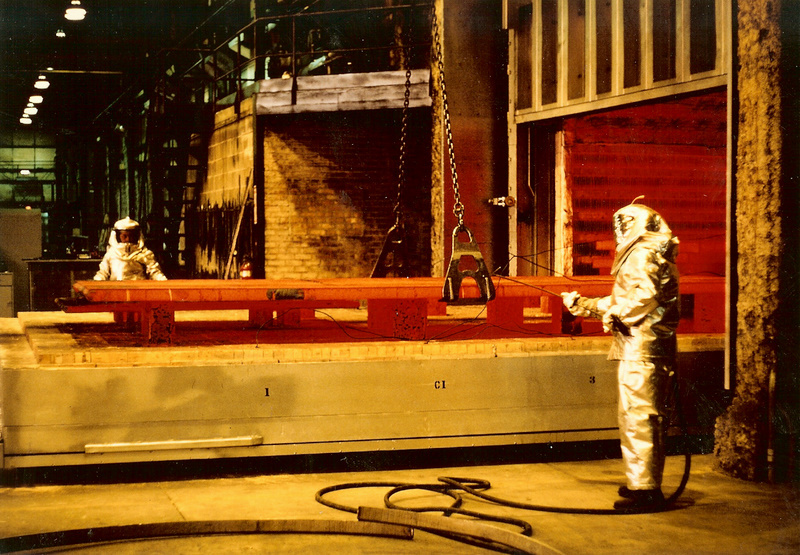 It is important that your fabrications are properly heat treated. 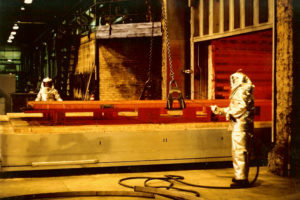 Thermal heat treatments are specified to steel materials that have been cold-formed, flame cut, or fabricated, and prior to final machining to reduce residual stresses for dimensional stability and to improve service life. 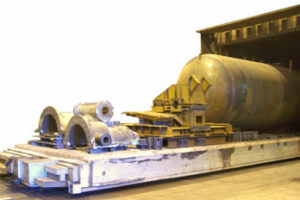 Rode Welding’s large, on site car bottom furnace can achieve temperatures of 1750° and readily accommodate fabrications up to 120,000 pounds and sizes up to 14′ X 14′ X 42′ long for post weld heat treating, stress relieving, hot plate roll forming, annealing and normalizing. Our digital furnace controls are calibrated to confirm that all aspects of the rate of rise, hold time at temperature, and rate of cooling, as required by code requirements or your specifications are performed correctly. Thermocouples are attached directly to the work to insure the proper heat treat cycle is achieved.